Get the most out of every meeting with this custom padfolio! These polypropylene padfolios are perfect for students, new hires and more. 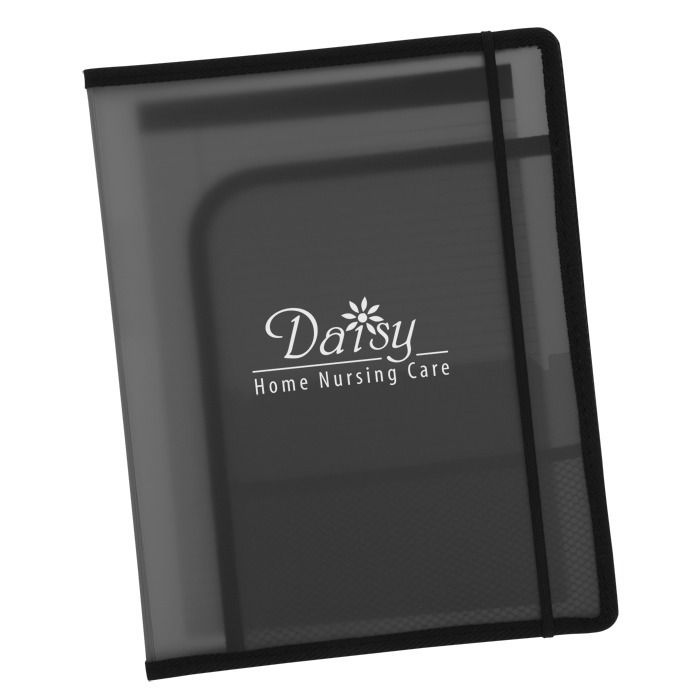 Folders are designed with an interior document pocket for the storage of notes, résumés or statements. A mid-sized pocket and smaller mesh pocket can hold smaller items, like a smartphone or business cards. Includes an 8-1/2" x 11" writing pad and a plastic pen loop (pen not included). Complete with an elastic band closure. Size: 13" x 10-3/4" x 1". Your price includes a one color screen print on front.